Wealthy, seemingly perfect Brittany Ellis and Alex Fuentes, a gang member from the other side of town develop a relationship after Alex discovers that Brittany is not exactly who she seems to be. Now they must face the disapproval of their schoolmates - and others. Love can be unexpected and happen in unconventional ways. 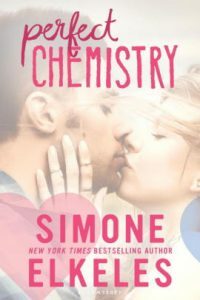 If you liked Perfect Chemistry, check out these other teen romance titles. Follows three teens in a small town whose lives intersect in ways they never expected, teaching them that there are no one-size-fits-all definitions of depression, friendship, and love. Stranded on a deserted island with a boy they barely know, sisters Emma and Henri have to find a way to survive together, even after a betrayal back home ruined their relationship. After being mugged, seventeen-year-old Gretchen is still struggling to deal with her fears when she meets Phoenix, an eighteen-year-old immigrant from El Salvador. Told in alternating first-person points of view, this is a story of love, sacrifice, and the journey from victim to survivor. It offers an intimate glimpse into the causes and devastating impact of Latino gang violence, both in the U.S. and in Central America, and explores the risks that victims take when they try to start over. A heart-wrenching debut novel about relationships in its many forms - families, friendships, romance - and how Lily and Dari, coming from different backgrounds and different worlds, strive to find a connection through their differences as they fight against their own individual pasts. View more suggestions for Perfect Chemistry.